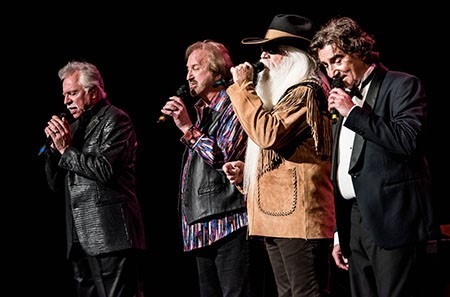 Country Music Hall of Fame members The Oak Ridge Boys kicked off their upcoming round of tour dates with a performance at the Florida Strawberry Festival in Plant City, FL on March 9. This year will see the legendary band crisscross the country in addition to playing a date at the Club Regent Casino in Winnipeg, Manitoba Canada. Since the start of their highly decorated career, The Oak Ridge Boys have achieved five GRAMMY® Awards, and multiple CMA, ACM and Dove Awards for their cross-over brand of pop, country and gospel music that spans multiple generations. 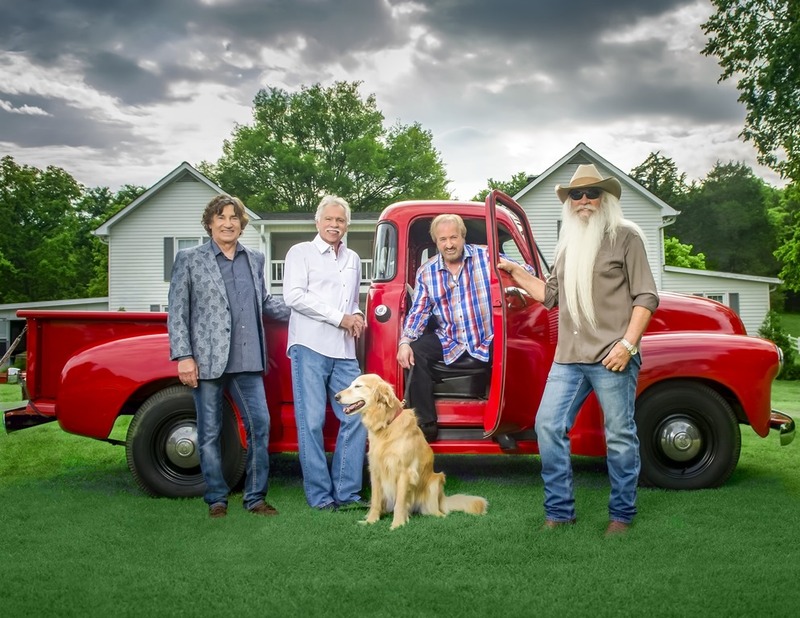 Made up of members Duane Allen, Joe Bonsall, William Lee Golden and Richard Sterban, The Oak Ridge Boys are members of the Grand Ole Opry and achieved arguably country music’s highest honor in October 2015 when they were inducted into the Country Music Hall Of Fame. The Oak Ridge Boys have given many command performances throughout their legendary career, from performing for King Gustaf of Sweden, to Her Royal Highness Princess Caroline of Monaco, to Her Royal Highness Princess Anne of Great Britain and five U.S. presidents: Jimmy Carter, Ronald Reagan, George H.W. Bush, Bill Clinton and George W. Bush. March 09 – Florida Strawberry Festival – Plant City, Fla.
March 11 – American Music Theater – Lancaster, Pa.
March 12 – Sellersville Theater 1894 – Sellersville, Pa.
March 17 – Wagon Wheel Center for the Arts – Warsaw, Ind. March 19 – Weinberg Center for the Arts – Frederick, Md. March 23 – Apache Casino Hotel – Lawton, Okla.
March 24 – Choctaw Grand Theatre – Durant, Okla.
March 26 – Kauffman Center for Performing Arts – Kansas City, Mo. March 31 – Newberry Opera House – Newberry, S.C.
April 01 – Alabama Theatre – North Myrtle Beach, S.C.
April 07 – Peppermill Concert Hall West – Wendover, Nev.
April 09 – Country Thunder – Florence, Ariz.
April 15 – Paragon Casino – Marksville La. April 21 – The Mansion Theatre – Branson, Mo. April 22 – The Mansion Theatre – Branson, Mo. April 28 – Hoosier Park Racing & Casino – Anderson, Ind. May 05 – Crossroads Arena – Corinth, Miss. May 06 – Elijah Clark State Park – Lincolnton, Ga.
May 18 – Greenwich Odeum – East Greenwich, R.I.
May 19 – Paramount Hudson Valley Theater – Peeksville, N.Y.
May 20 – Tupelo Music Hall – Derry, N.H.
May 21 – The Newton Theatre – Newton, N.J.
June 16 – Downtown Deadwood – Deadwood, S.D. June 22 – Chippewa Valley – Country Festival – Cadott, Wis.
June 24 – Renfro Valley – Renfro Valley, Ky.
July 04 – City of Palmetto 4th – Sutton Park -Palmetto, Fla.
July 14 – Hodag Country Festival – Rhinelander, Wisc. Aug. 05 – Mabee Center – Oral Roberts University – Tulsa, Okla.
Aug. 11 – Anderson Music Hall – Hiawassee, Ga.
Aug. 12 – Mill Town Music Hall – Bremen, Ga.
Aug. 16 – Upper Peninsula State Fair – Escanaba, Mich.
Aug. 17 – Dodge County Fair – Beaver Dam, Wisc. Aug. 20 – Kentucky State Fair-Cardinal Stadium – Louisville, Ky.
Aug. 21 – Wilson County Fair – Lebanon, Tenn.
Aug. 24 – Bureau County Fair – Princeton, Ill.
Sept. 15 – Adventure Road Entertainment Stage – Oklahoma State Fair – Oklahoma City, Okla.
Sept. 16 – Falcon Stadium – Colorado Springs, Colo.
Sept. 23 – Country Tonite – Pigeon Forge, Tenn.
About The Oak Ridge Boys The Oak Ridge Boys, who have sold over 41 million units worldwide, are synonymous with “America, apple pie, baseball, pop, rock, gospel and country music.” In addition to their awards and accolades in the country and pop music fields, they have garnered five GRAMMY® Awards and 11 GMA DOVE Awards as well as the Mainstream Artist of the Year Award at the ICM Awards. The group—Joe Bonsall, Duane Allen, William Lee Golden, and Richard Sterban—have earned prestigious membership in the Country Music Hall of Fame (2015 Inductees) and Grand Ole Opry, and are known worldwide as one of recording history’s most extraordinary musical successes. In 2007, they have received the “Cliffie Stone Pioneer of the Year” award from the ACMs. They have charted single after single and album after album, celebrating two double-platinum albums and more than 30 Top 10 hits, including No. 1 chart-toppers “Elvira,” “Bobbie Sue,” “Thank God For Kids,” “American Made,” “Y’All Come Back Saloon,” among dozens more. 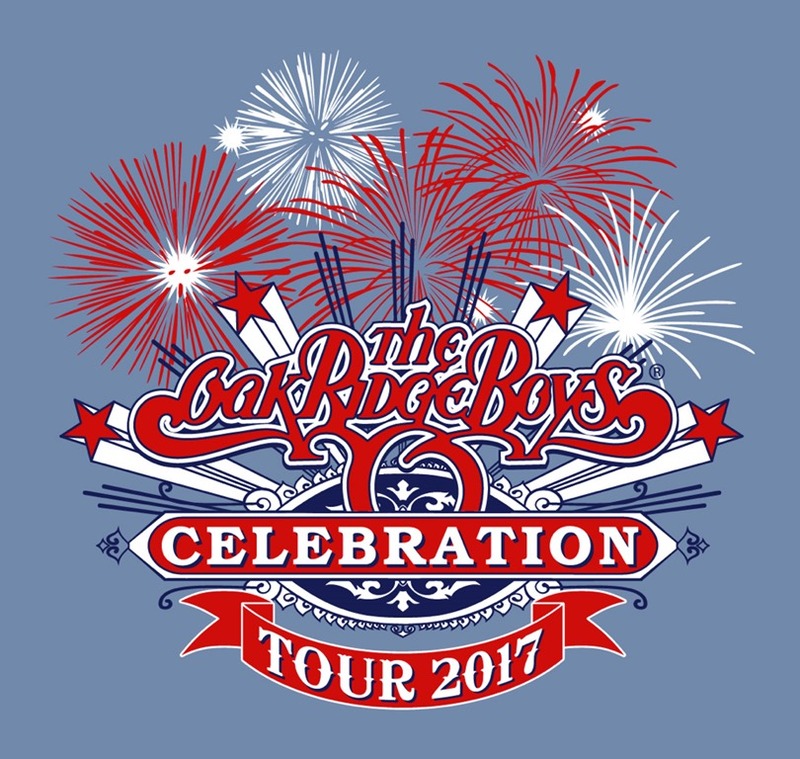 For more information and to view upcoming tour dates for The Oak Ridge Boys, please visit www.oakridgeboys.com.